IT MIGHT not be the sexiest job title in the world, but being the boss of Dublin Port offers a prime view of our capital city. From Eamonn O’Reilly’s fourth-floor office in Port Centre on Alexandra Road, the new Aviva Stadium can be seen in all its glory, with the Wicklow mountains providing the backdrop. To the right is the O2 concert venue and Harry Crosbie’s big wheel, while the ESB chimney stacks at Poolbeg frame the view to the left. “It’s magnificent . . . wait until you see this,” O’Reilly says, before eagerly opening the blinds to reveal the view across the port from the other side of his office. It’s mostly cranes and gigantic oil tanks, but it’s impressive none the less. It’s a definite perk of the job and must have been distracting as he was doodling a new master plan for Dublin Port in recent months. Launched this week, its aim is to chart the development of Dublin Port out to 2040 to allow for a doubling of trade volumes. This might sound like a hare-brained scheme to some, given the depressed nature of the economy at present, and the fact that no-one – other than the IMF and European Commission – wants to lend us a brass farthing at present. But with Irish exports thriving in the recession, O’Reilly is one of the few chief executives in the country operating in a growth industry. The master plan is framed around the assumption that trade will grow to 60 million tonnes by 2040. This would be roughly twice the level of today and imply an average annual growth rate of 2.5 per cent. “We think it entirely likely that it will at least double over the next 30 years,” O’Reilly says matter-of-factly. If anything, this forecast might be too conservative. The volume of trade put through Dublin Port last year rose by 6.1 per cent to 28.9 million tonnes. Roughly three-quarters of that growth was exports. While its below the 2007 peak of 30.9 tonnes, it marked a turnaround for the port business after a couple of tough years affected by the recession. Encouragingly, this trend has continued into 2011, with volumes rising by about 6 per cent in the first two months of this year. So the 30-year vision of growth could be on the low side. Then again, given our experience of the Celtic Tiger years, it’s probably no harm to err on the side of caution. “Last year’s growth [in trade] suggests to me that we need to get our planning caps on and get a solid and robust master plan in place,” O’Reilly says. If past experience is anything to go by, getting the green light to expand the port will be far from plain sailing for O’Reilly. 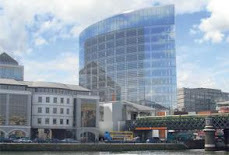 A plan promoted by O’Reilly’s predecessor Enda Connellan that involved the reclamation of 21 hectares of Dublin Bay was finally rejected by An Bord Pleanála last year. “We ticked nearly every box,” O’Reilly says without flinching. “We do live in a democracy and there were alternative arguments. The only issue we didn’t succeed on was relating to birds. O’Reilly’s iteration is somewhat more ambitious. It would involve reclaiming between 31 and 40 hectares of the sea to expand its existing 260-acre footprint. There will also be an intensification of freight and cargo activity in certain parts of the port and a new berth closer to the city for cruise liners, which bring about 130,000 visitors to the capital each year. Reclaiming land is always a contentious issue with environmental and conservation groups and plans to relocate a tern colony will no doubt spark a robust debate. Local residents will also be nervous about the impact an expansion might have on their daily lives. 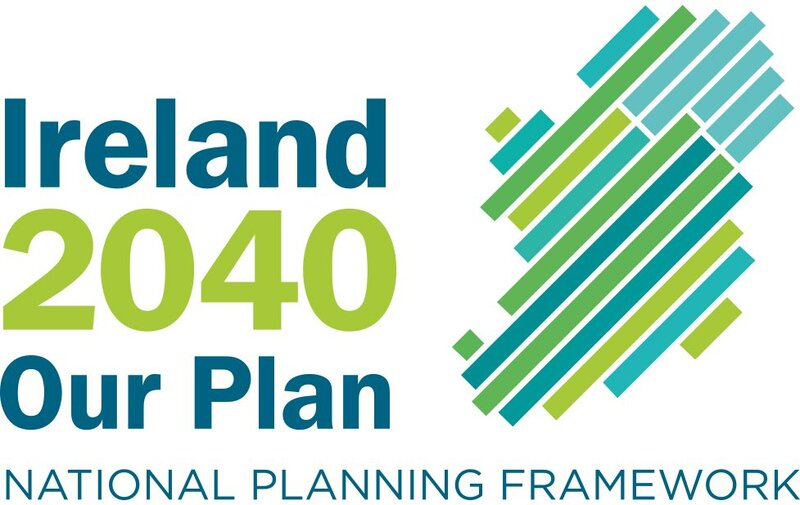 On the latter point, O’Reilly stresses that the plan is currently at the consultation stage and Dublin Port will fully engage will the local community on the issues involved before producing a final proposal, probably in November. “Ports are utilitarian by their nature. They tend to be a wee bit grey. “The interface from East Wall Road, for example, is not particularly attractive. It’s a dirty old wall. But we are working very hard on that. As regards reclaiming parts of Dublin Bay, O’Reilly insists there is no alternative. “There’s no project that I know of for port expansion that doesn’t involve reclamation,” he explains. Some might argue that there’s no need to expand Dublin Port, especially when there is a proposal – from Drogheda Port Company and an associate of Treasury Holdings – for a new port up the coast at Bremore. “We’re running Dublin Port and we’re more than happy and confident that the customers who use this port want to continue to use this port. “That’s where trade wants to come through. Dublin is the right location,” he says, referencing an Indecon report from 2009 commissioned by the Department of Transport. Financing the project will be another kettle of fish. O’Reilly won’t say how much the expansion plan will cost. But he is adamant that Dublin Port Company won’t have any problem raising the money, despite the fact that most finance house wouldn’t touch Ireland with a barge pole at the moment. It has debts of €30 million – less than one times its Ebitda – and already spent €280 million upgrading the port since 1997. “If we had a project today could we get funding? I actually think we could because Dublin Port is a very solid story from an investment point of view for a banker,” he says confidently. O’Reilly comes from an engineering and management consultancy background but has been working at the port in one capacity or another since 1988. He took the reins at Dublin Port last August, after several years working with the Doyle shipping group. Dublin Port’s 2010 results haven’t been published yet but it has annual revenues of about €65 million and its Ebitda in 2009 amounted to €32 million. “We had a good year,” O’Reilly said, adding that its Ebitda increased in 2010. It also coughed up a €5.5 million dividend to the Government. What odds, then that economist Colm McCarthy might put Dublin Port Company near the top of his list of State assets that could be sold off to raise cash for the exchequer? O’Reilly has met McCarthy and made a submission stating that it is an important strategic asset that should be retained in State ownership. He argues that Dublin Port is already effectively privatised, given that the various terminals there compete with each other for trade. Dublin Port is akin to a management company in an apartment block. So why not sell it? Especially as some believe the price tag could be more than €400 million. After a long pause, O’Reilly offered this view: “We think that the investment decisions that need to be made will be made in a more timely way by a public-sector owner than by a private-sector owner. “If this place was bought, the first thing they [a new owner] would look to do is get a return on that investment. “They would wait until there’s a queue of trucks from here to Belfast before investing in new infrastructure. Colm McCarthy will provide the answer to that question.